Set the number of threads. Set the number of times to execute the test. 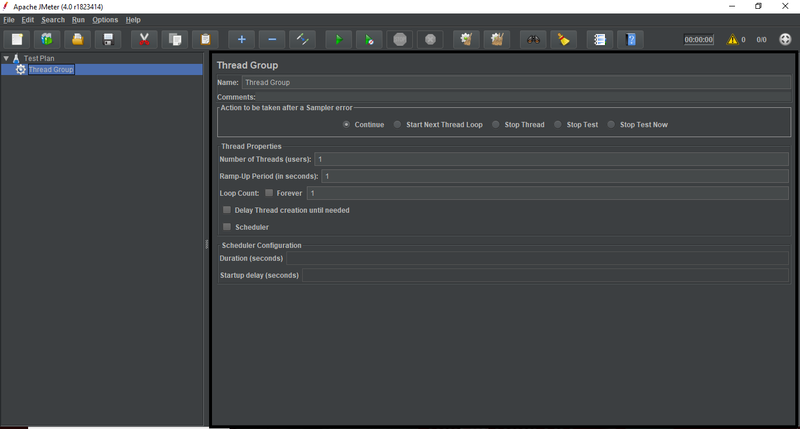 The steps to add a thread group in your test plan had been explained earlier in the Add/Remove test elements portion. The following image shows the control panel portion of a thread group. Scheduler checkbox (The checkbox at the bottom of the Thread Group panel is used to enable/disable extra fields in which you can enter the duration of test, the startup delay, the start and end times of the run).